Oak Mountain Press, LLC, 9780985992811, 238pp. Slate, a recovering lawyer who lost his family to an accident, lives on a sailboat, owns a beach bar, and occasionally helps clients recover things they have lost. Children, for example. Kris Kramer, the nineteen-year-old daughter of a Birmingham lawyer, Don Kramer, has been missing for two days when her father visits Slate in his beach bar, which isn't very busy on a raw day in January. Kramer engages Slate to try to find Kris. But two days after Slate arrives in Birmingham, Leon Grubbs, captain of the Homicide Division of the Birmingham Police Department, calls Slate just after midnight. A murder victim lies across the railroad tracks in the no-man's-land between North and South Birmingham, Slate's business card in his pocket. Fans of John D. MacDonald and Robert Parker will find themselves on familiar ground in this first novel of a series. Steve Gregory was born in a cotton-mill town in north Georgia. His parents moved to the family farm when he was nine. Steve earned a Master of Fine Arts degree in creative writing from the University of Alabama in the early 1980s. He worked as a stockbroker for a few years, then earned a J.D. from the University of Alabama School of Law and practiced law for more than twenty years. As a lawyer, Steve defended a couple of gentlemen facing capital murder charges. He finds writing about murder much less stressful. 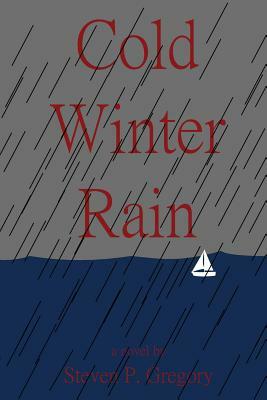 Cold Winter Rain is Steve's first novel and the first of a series featuring the man called Slate.